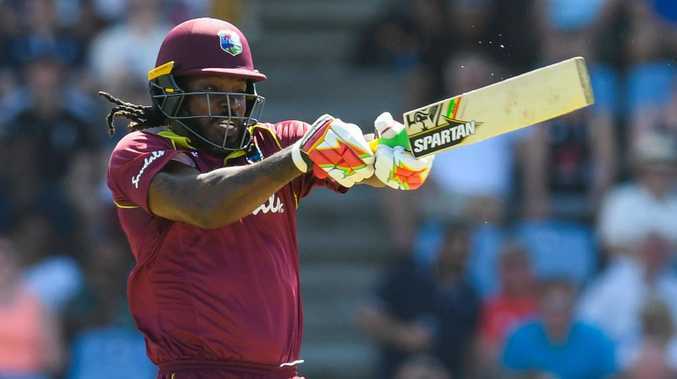 OSHANE Thomas and Chris Gayle starred as the West Indies thrashed England by seven wickets in the fifth and final one-day international in St Lucia to square the series 2-2. Thomas claimed 5/21 with the top-ranked tourists being demolished for 113 from 28.1 overs - their lowest-ever total in an ODI against the Caribbean side - just three days after scoring 418 in the fourth match in Grenada. 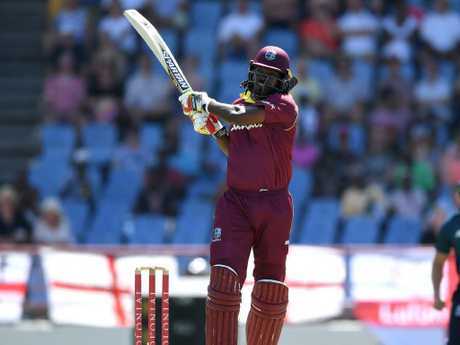 Gayle signed off on his ODI career in the region with a blistering 77 off just 27 balls to catapult his side to victory with almost 38 overs to spare in reaching 3/115 off 12.1 overs. The 39-year-old was the obvious choice for the man-of-the-series award given his utter dominance with the bat in every innings of the four matches, scoring 424 runs at an average of 106, with 39 sixes, as he piled on totals of 162, 50 and 135 before this assault in Grenada. "At one stage I thought this is going to be my last (ODI) innings in the Caribbean for the West Indies, so I thought I'd go out on a high," Gayle aid. "We'll get a bit of respect going into the World Cup." He reached his latest 50 off just 19 balls, making it the fastest half century ever by a West Indian and ensuring England suffered its worst ever defeat in terms of balls remaining in its ODI history. When Shimron Hetmyer struck the winning boundary at the start of the 13th over it meant the West Indies had shared a series with the side considered favourites to lift the World Cup in England and Wales in three months' time, belying their lowly ranking of ninth and the fact they had scraped through World Cup qualifying a year earlier in Zimbabwe. Playing just his ninth ODI, Thomas destroyed the visitors' vaunted batting line-up with career-best figures despite coming on as the fourth bowler in the line-up. 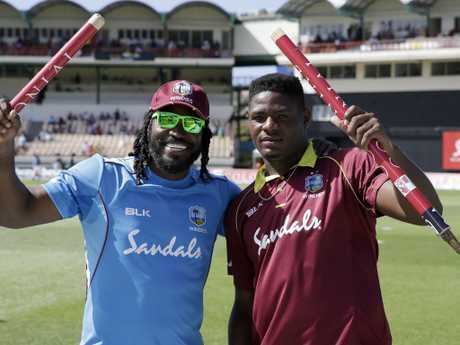 Carlos Brathwaite and captain Jason Holder took two wickets each in support of the burly fast bowler to fully justify Holder's decision to bowl first after winning the toss. Gayle treated the crowd to one heck of a final show. "We struggled to adapt to the extra bounce, it's not something that we're accustomed to," said Morgan. "It's difficult to curb what has been our natural reaction (to batting). We need to find a way to occupy the crease and score runs." England lost its last five wickets for only two runs with none of the final four batsmen managing to get off the mark. Hales and Morgan featured in the best partnership of the innings - 39 for the third wicket - but it was merely a brief respite. Gayle was like a hurricane at the crease. With such a small target ahead, Gayle made his intentions quickly, and brutally, clear. England was forced to make one change from the win on Wednesday, all-rounder Tom Curran replacing injured seamer Liam Plunkett.